As some of you may know, we were in Chantilly, Virginia last year as we participated in Sugarloaf’s Holiday Craft Festival at the Dulles Exposition Center. We don’t have a traditional storefront, so for us it was a lot of fun and just so enjoyable to meet the people who brought our quilts to their respective homes. 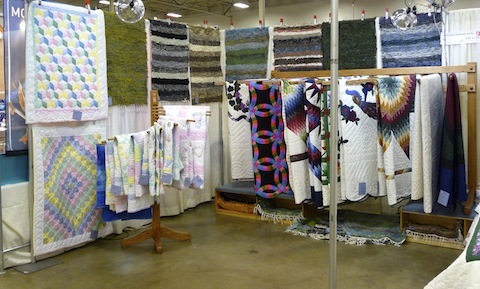 We’re happy to report that every quilt and every loomed rug went to very good homes! We joke here that attending a trade functions is similar to moving from one apartment to another. Remember when we did this as younger adults? It was a lot easier then! 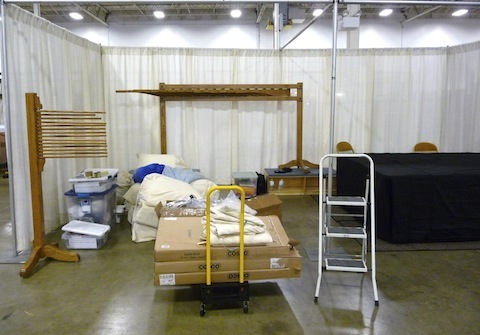 As with Sugarloaf, for the ArtRider CraftWestport show we’re renting a 20 foot space. This is not as small a space as you might think! Just to give you an idea, here’s our process: everything is pulled out of storage and moved to a staging area for inspection and . . . . repacking! Then, everything is again packed – this time into the back of a van. We drive the van to the event site and . . . UNpack every display, quilt, our traveling office, etc. Then, we set it all back up again and add in some lighting for good measure. After two days of meeting all of you (and hopefully selling a few quilts) we . . . . tear everything back down again, pack it up again, move it again, pack it back into the van, drive it all home and then UNpack and store it all over again . . . until the next time! We certainly hope that, if you have the time, you’ll stop by to see us. 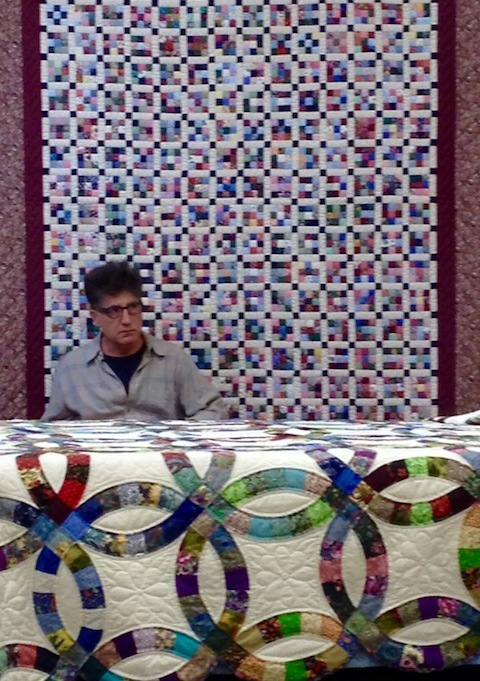 We have new quilts and we have new Amish designs that really must be seen in person to be fully appreciated.